The ACMA has announced its Compliance Priorities for 2019–20. This Authority-wide strategic approach to setting annual Compliance Priorities helps to streamline the ACMA work and provides greater transparency and clarity for industry. Solar invertors interference and unlicensed activity in the 5.6 GHz and 400 MHz bands. As well as the 2019–20 Compliance Priorities, the ACMA will continue to deliver the wide range of functions and responsibilities set out in the legislation that they administer. 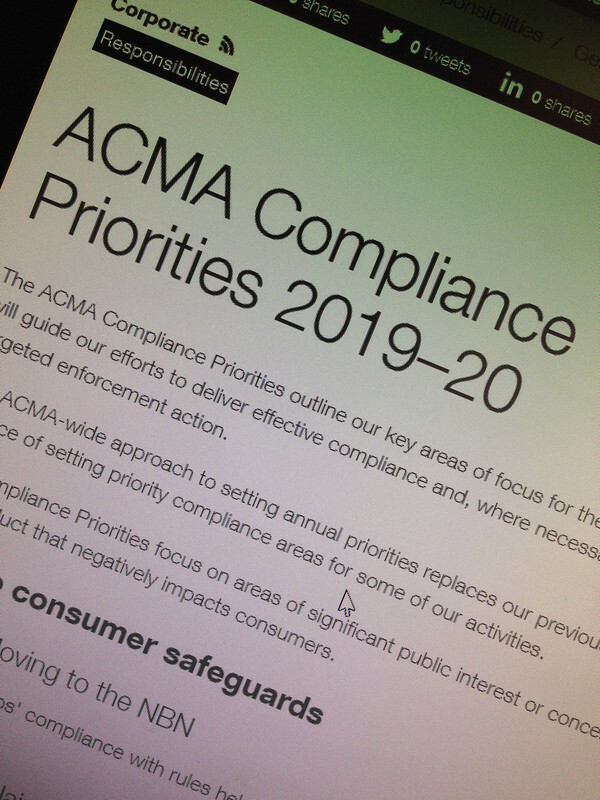 More information about the Compliance Priorities is available on the ACMA website.